There is much talk about the Scottish Enlightenment as a golden age of Scottish culture. Perhaps it was, not least in painting and in those other branches of visual thinking in which Scots have excelled: science, engineering and architecture. This period from the mid 18th to the early 19th century has been a touchstone for Scottish identity. But how does it relate to other symbols of Scottish identity such as the Wallace monument near Stirling? We usually think of that monument as simply an expression of 19th century national romanticism, with little link to the Enlightenment. Yet, within it is a portrait gallery with the grand title, The Hall of Heroes, to which Enlightenment thinkers are central. The point of these ‘hero’ sculptures, mainly the work of DW Stevenson, is not Wallace and Bruce, but the company they keep. The pre-Enlightenment thinker George Buchanan, certainly, and post-Enlightenment thinkers such as Hugh Miller and Thomas Carlyle, but here also are the poets and song-writers at the heart of the Enlightenment: Allan Ramsay, Robert Burns and Robert Tannahill, philosopher and social scientist Adam Smith, physicist David Brewster and engineers James Watt and Alexander Murdoch. So this monument does much more than simply commemorate Wallace. It does the same task for the Enlightenment, and places Enlightenment thinkers at the core of Scottish identity. This expands our view of what the Enlightenment is: clearly, it is founded on poetry and song as much as on science and philosophy. But what about visual art? Here we encounter the paradox that is so often a feature of our society, namely the failure to recognise the significance of the visual arts. The paradox is intensified by the fact that the portraits themselves are, of course, the work of a visual artist. So why only a portrait of Allan Ramsay the poet, not of his son the painter? Why no sculpted head of Henry Raeburn or Alexander Nasmyth? It is almost as though visual art is some kind of meta-culture commenting on—but not participating in—society. Nothing, however, could be further from the truth. The Scottish Enlightenment is actually a wonderful example of a society in which the close contact between visual arts and other creative activities created an unexpectedly powerful expression of intellectual culture. Consider, for example, the friendship of the painter Alexander Nasmyth and the poet Robert Burns. Both men were born in the 1750s, and where Burns remade Scottish poetry and song in a way that is still part of the currency of our everyday life 250 years later, Nasmyth remade our perception of the landscape and cityscapes of Scotland through his paintings in a similarly enduring way. For example, in his numerous images of the city of Edinburgh, Nasmyth not only contrasts the organic nature of Edinburgh’s Old Town with the proto-modernism of the New Town, but emphasises the exposed geology upon which the city is founded. His visual essays on city development are complemented by an awareness of the geological theories that James Hutton had publicised in that very city a few years before. These paintings thus unite the micro-time of human history and the macro-time of geology in a way that is both intellectually elegant and well informed. Furthermore, one of his cityscapes is composed so that at its focus is the cylindrical memorial designed by Robert Adam to mark the grave of the philosopher David Hume. That radical work of architecture can be found in the old graveyard on the slopes of Calton Hill. In his respect for philosophers and friendship with poets, Nasmyth is a characteristic figure of the Scottish Enlightenment, a true generalist thinker. This is emphasised by the fact that as well as being a painter, he was also an architect and an engineer. An image that summarises all this generalist activity is Nasmyth’s sketch of one of the world’s earliest steam-powered boats on it first voyage on Dalswinton Loch in Dumfriesshire. The passengers included Nasmyth himself, the project’s funder Patrick Miller and Robert Burns. Nasmyth is, of course, best known for his portrait of Burns which was engraved for the Edinburgh edition of Burns’ poems, published in 1787. Perhaps the most common approach to the art of the Enlightenment is through the great portraits painted by Allan Ramsay and Henry Raeburn. Where Nasmyth redefined our appreciation of the geography and urban spaces of Scotland, the other two painters set up our appreciation of Enlightenment society by creating memorable images of the leading figures of the time, as well as their families and friends. What is interesting here, and shifts painting on markedly from its earlier role as a visual service for the aristocracy, is that the images we remember from that time are as often as not philosophers. Ramsay may have painted kings and courtiers, but among his most enduring works are his images of his friend David Hume and Hume’s occasional friend Jean-Jacques Rousseau. What one sees in Ramsay’s work is a visual investigation of the questions of the nature of perception—both physical and social—which at the same time drove the philosophy of his friend. This is not a question of philosophy directly influencing painting or vice versa; it is simply a recognition that those who drink together think together. Or to put it more mundanely, painters were an integral part of the social fabric of the Scottish Enlightenment, just as were philosophers. One can comment in a similar way on Raeburn. His portraits are visual evocations of character which take on board both the perceptual and the social philosophies of the Enlightenment. 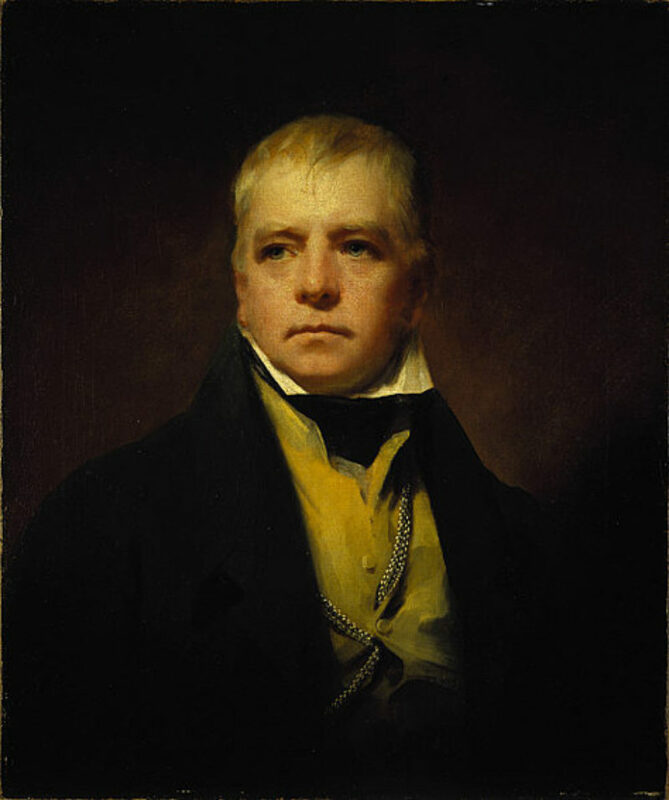 Raeburn’s subjects—including Adam Ferguson, William Robertson and Thomas Reid—were writing the script for what today we call the social sciences, and Raeburn was creating a new imagery, which showed people as part of a society driven by intellect and emotion rather than by inherited status. Building on the work of David Allan, painting of the social field was taken even further in the next generation by David Wilkie. His explorations of everyday life and contemporary history became a kind of visual anthropology of the developing 19th century Europe. In parallel with these developments in painting, was what Burns called the ‘sympathetic feeling’ explored by Adam Smith in his philosophy as a way of understanding social cohesion. This was the time when the Scottish intelligentsia and their families were perhaps better served in portraiture than any other cognate group in Europe. And not only by Allan Ramsay and Henry Raeburn, but also on a smaller scale through the work of the glass paste medallions of James Tassie and the caricatures of John Kay. Another trend must be noted here. From the 1750s onwards a strong element of history painting emerged in the hands of one of the most significant yet under-appreciated of all Scottish painters, Gavin Hamilton. Hamilton spent most of his career in Rome, painting, dealing in antiquities and teaching visiting Scottish artists, at a time when Rome was key to the education of most of the best artists and architects in Europe (including, of course, both Allan Ramsay and Robert Adam). Hamilton’s contribution to European art—not least through his direct influence on both Jacques Louis David and Antonio Canova—was very much part of the Scottish Enlightenment project of reinterpreting the culture of classical Greece and Rome. Hamilton’s large-scale visual interpretations of scenes from Homer’s epic, the Iliad, were highly influential, not least on Hamilton’s Scottish students in Rome, David Allan and Alexander Runciman among them. Both returned to Scotland recognising the major contribution that artists could make to the visibility of literature. Today it is hard to think of the older Allan Ramsay’s pastoral, ‘The Gentle Shepherd’, except in conjunction with Allan’s images made for it. In a sense, Allan taught us how to see the poetry. At the same time he cleared the way for David Wilkie to revolutionise the painting of everyday life from a Scottish point of view. Runciman’s encounter with literature was just as significant. He had gone to Rome with the intention of coming back to Scotland to create a mural scheme on a classical subject for Sir James Clerk of Penicuik House. He returned from Rome in the early 1770s convinced that Celtic subjects from Ossian were more appropriate. At this time James Macpherson’s translations and reimaginings of Ossian were gaining rapid popularity, not least in Italy, as a northern alternative to Homer. Sadly, Runciman’s mural scheme at Penicuik was destroyed by fire in 1899. Its loss is a severe blow to the appreciation of the scope of the art of the Scottish Enlightenment, but it can still be explored through photographs, sketches and Runciman’s outstanding experimental etchings. Perhaps enough of these images remain to make a virtual reconstruction of the mural scheme: such a project would be of immense cultural value. In the context of the Scottish Enlightenment, Runciman’s Ossian works have a further importance, for they draw attention to the other side of the Enlightenment, that side that wasn’t enlightened at all. It is easy to forget that the Scottish Enlightenment was a time of civil war and brutal repression of dissent. 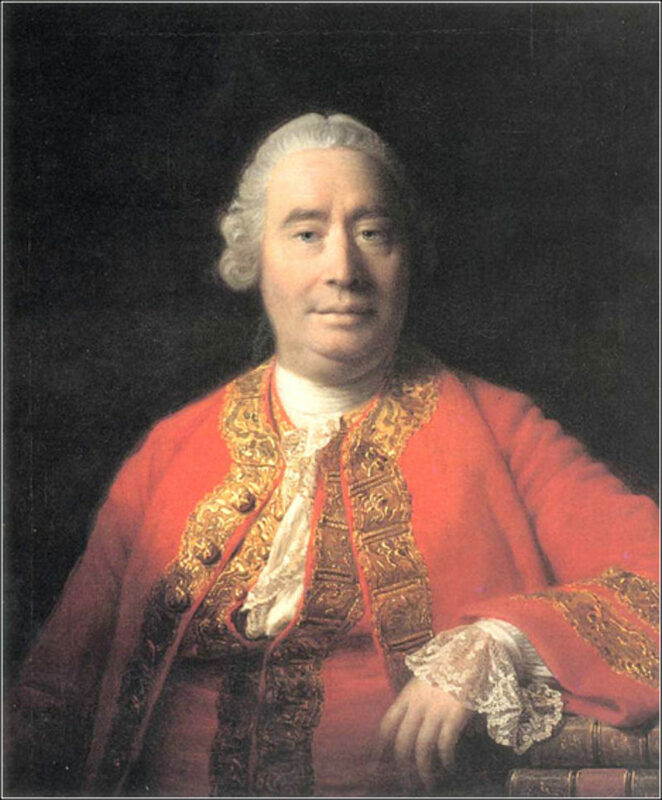 We have to remember that those two pillars of Enlightenment philosophy by David Hume, his Treatise of Human Nature and his Enquiry Concerning Human Understanding, were published in 1740 and 1748 respectively, neatly bracketing the civil war between Jacobites and Hanoverians which ended at Culloden in 1746. That battle gave impetus to the legalised destruction of Highland language and culture from which the Highlands has still not recovered. James Macpherson’s Ossian has to be seen in this context. At the time of Culloden, Macpherson was a child living in the heart of Jacobite territory. Twenty five years later, Ossian can be seen as his attempt to legitimise his own Gaelic culture in the wake of the destruction after the battle of Culloden. Macpherson’s greatness lay in his ability to defend Highland culture by making it of wide interest and acceptability in a period when it was under great pressure. Runciman’s mural scheme of Ossian was the first major visual contribution to Macpherson’s project, and was followed in due course by Ossian -inspired works by artists throughout Europe, mainly in Denmark, Germany and France. Seen from this perspective, one can argue that in its intellectual and artistic vitality, the Scottish Enlightenment,far from being the product of a golden age of tranquillity, in fact has much in common with highly creative but politically stressed cultures such as the Weimar Germany, which gave rise to the Bauhaus, or the Hapsburg Austria which produced the Vienna Secession.